Premier x Nike SB Dunk High "Win some/Lose some"
The thing about odds is they are rarely in your favor, and under normal circumstances losers walk away with nothing. Premier teamed up with Nike SB to offer an alternate outcome: win or lose, you’ll still walk away with the shoes on your feet. 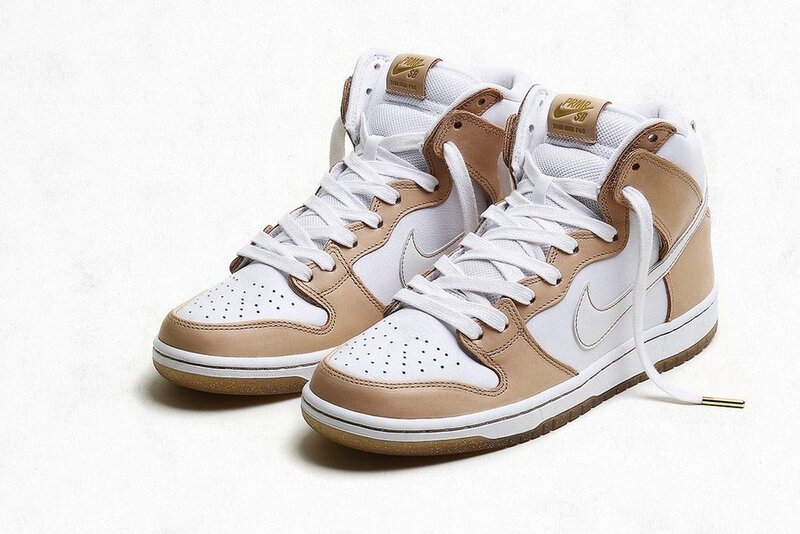 The “Win Some / Lose Some” Dunk High features a rich vachetta tan and white leather upper, a gold flaked translucent under sole and flat laces with gold metal tips in addition to the standard SB round laces. Gold foil stamps appear on the co-branded leather tongue tag, leather insole and hidden beneath the lace flaps. The real hidden detail lies beneath the swoosh itself. While the vast majority of the swooshes will wear away to reveal a gold security pattern, some select pairs worldwide will feature a limited edition alternate swoosh with a co-branded pattern. 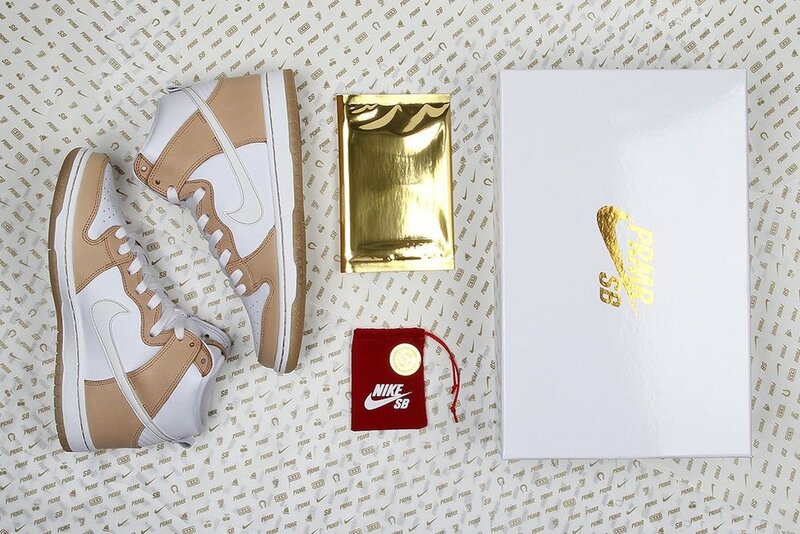 There is no additional prize if you receive one of the alternate swooshes, however you will be the owner of a very limited pair of Dunk Highs. Each pair comes packaged inside a sealed, co-branded rigid box containing a foiled sticker pack and a lucky gold coin in a velvet pouch. Releasing August 18 at Premier.